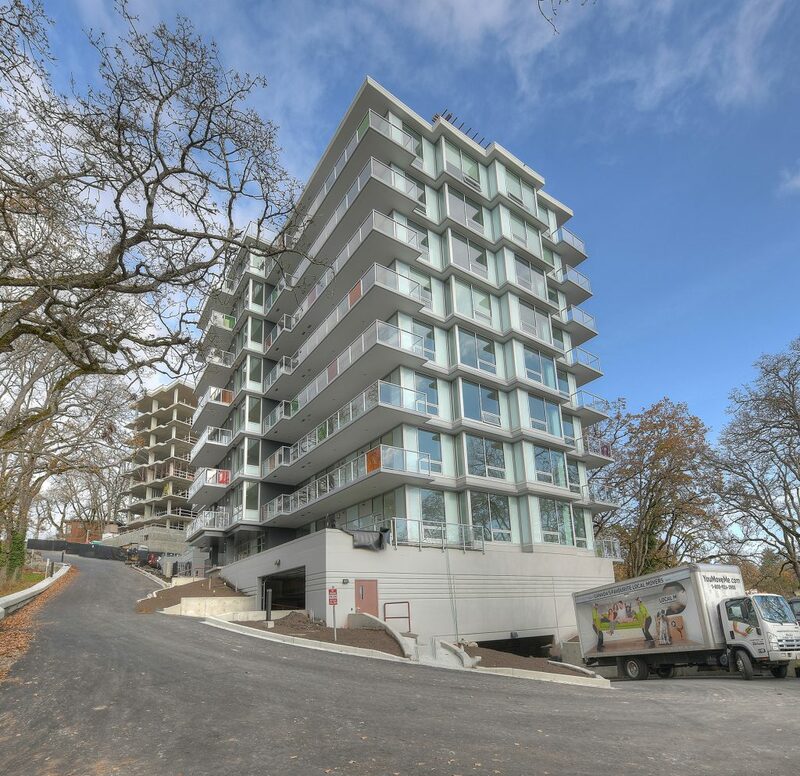 Brand new 2-bedroom, 2-bathroom contemporary unit on Christmas Hill in the most central location in Victoria. This spectacular unit overlooking a Garry oak meadow on the quiet side of the building offers 1,226 sq/ft finished, 568 sq/ft wrap around patio with gas BBQ hookup and H2O tap, upscale finishings, overheight 9-foot ceilings, rich engineered wood flooring throughout living areas, and a one-touch gas fireplace for added warmth. Open-concept kitchen features large island, premium KitchenAid stainless appliances, quartz countertops with glass tile backsplash, and under-cabinet LED lighting. Stunning master bedroom has a walk-thru closet, custom built-ins, walk-in shower with porcelain tile surround, and heated porcelain tile flooring. Additional features include a luxurious soaker tub and heated tiles in the main bathroom as well. Extras include HRV unit, massive storage locker (72 sq/ft), blinds, and much more. One secure underground parking included. Warranty coverage. NO GST!